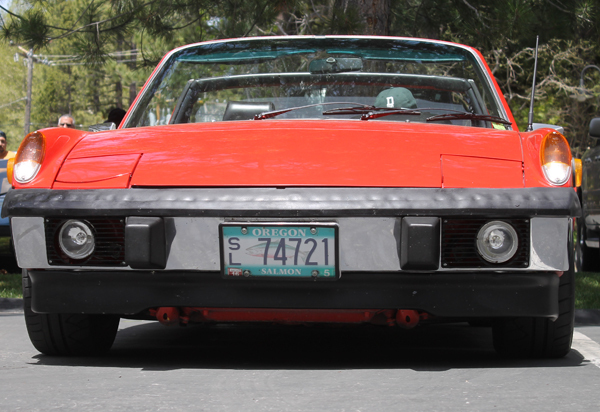 I've been a loud proponent of the 914 movement for quite a few years now. They are fantastic little cars that punch well above their weight class. They may not be the most powerful things in the world, but they certainly have more than made up for that in the handling department. When you can find a well-kept model without the car's unfortunate signature rust rot, you can be sure you're in for one heck of a fun drive, assuming there are some twisty bits nearby. 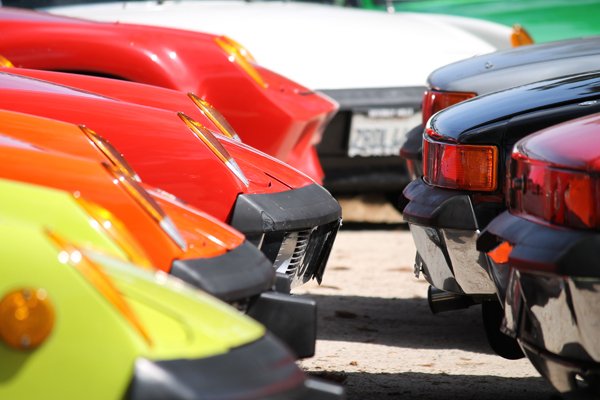 With my 914 interest levels piqued, I occasionally float around the 914 World forums, looking for potential deals, occasional gems of information, and traditionally polite conversation. 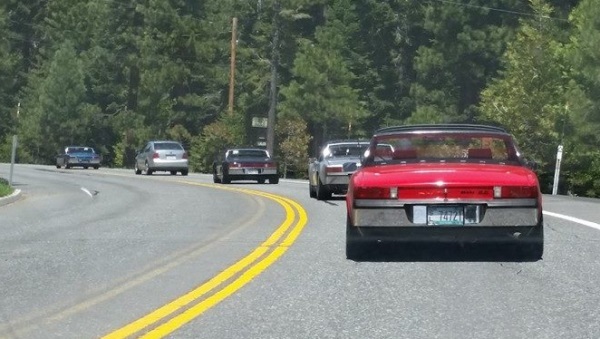 A few weeks ago, I'd noticed that the 914 West Coast Ramble event would be held practically in my own back yard, converging on a Hotel/Casino/Conference Center in South Lake Tahoe, just a hop, skip, and jump from our base of operations in Reno, NV. 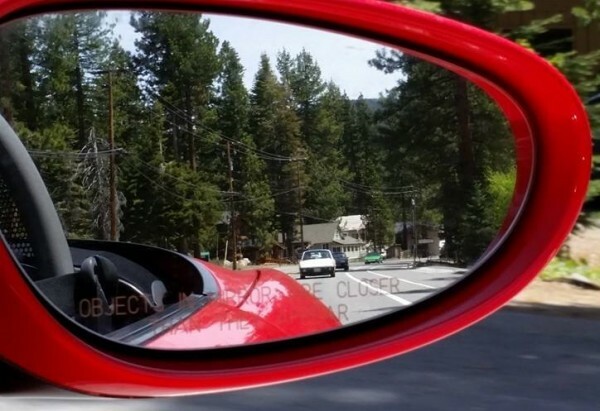 Why not take some time out of my schedule to see some neat cars, go for an epically beautiful drive around the lake, and generally talk shop with a gaggle of 'teener owners? These rabid 'fourteen fans were already in the Reno/Tahoe area for a couple of days before I'd showed up to crash the party, unfortunately I had to, you know, work and stuff, while they got to enjoy some local mountain drives, an exciting day at the go-cart track, and a number of delicious meals. I was jealous of their fun, but I knew that Saturday would be the best day of the excursion anyhow, and made it my goal to enjoy it to the fullest. I even managed to cajole my fiancée to come along for the ride on what developed into a gorgeous sunny day. So we hopped in the 'Project Boxster' (more on that to come soon), and took off for the hills to the west. We'd agreed to meet up at the MontBleu hotel in South Lake Tahoe for a 9:14AM departure to start out our drive around the lakeshore. Taking up the entire upper level of their parking garage with Porsches, we started the morning with some light conversation, and I took the opportunity to snap some pictures and admire the accompanying cars. Apparently the attendance of events like these are slightly down over the last couple of years, but that didn't discourage anyone. One interesting factoid was that the first 'Ramble' was less than 10% 6-cylinder powered cars, while our group here in 2014 was split nearly half-and-half. 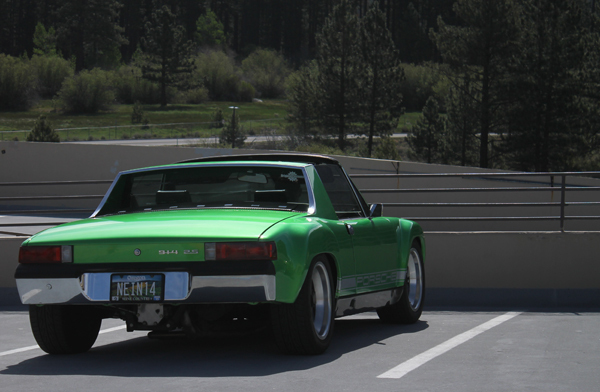 At least one of the cars, for sure, was an original 914-6, and boy was it original. Down to the sun-faded paintwork, and the age-worn pebbled black targa top, this thing was a true beauty. One of the more heavily modified cars, however, used a twin-plug 3.6 liter from a 993 in the back of his race-ready 914. Honestly, how that car is considered streetable is beyond my comprehension. One of my personal favorites, however, was an early 1.7 liter four-cylinder car. What made this one special, however, was a home-brewed turbocharger setup, considerably boosting the car's power levels, which was probably a boon at just over 6000 feet above sea level. 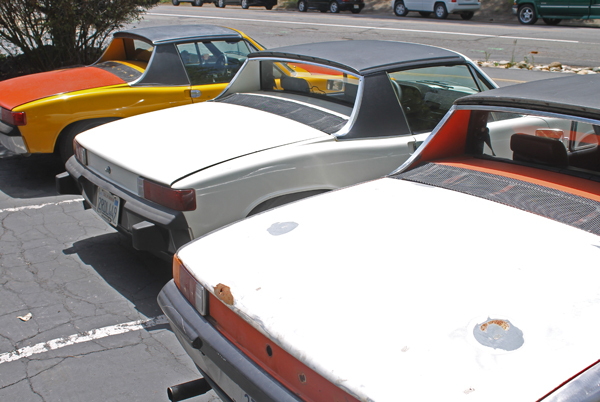 Very few of the cars involved were anything close to stock, and it seems like the 914 community is filled with do-it-yourselfers. After finally rolling out of the hotel parking deck around 10AM, we converged on a nearby public beach for a wonderfully backdropped group photo. Everyone milled around for a half-hour or so, taking photos, marking down ballots, and generally being quite jovial. The wind was blowing, and it was a bit brisk in the morning, but the sun was making an appearance, and promised warmth for our extended drive. Everyone in attendance popped just down the road for a final refuel and maybe a snack or two at the gas station. It was decided that we'd take the loop around the lake by driving up the West side first. A full tour of the lake is a 77 mile journey, and on any sunny Saturday, is sure to be packed with hikers, bikers, and sight-seers. We'd all agreed that we'd pull off for lunch at the Sunnyside Restaurant, enjoy a delicious nosh, then get back underway. Lunch was a great gathering of Porsche fanatics, and we all wove tales of cars gone by, as though fishermen lamenting the one that got away. Our lunchtime vantage point looked out over the gargantuan mountain lake from a perch on the restaurant's landing. We could see for miles, and there was nothing but beauty in all directions. The bright blue of the water, the puffy white of the clouds melding near-seamlessly with the puffy white of the mountain caps, and the copious groves of bright trees, Tahoe was certainly an excellent place to host a group drive. Whether a work-in-progress, a Subaru-engine swap, a high-power track car, or a mostly stock 914-6, everyone was welcome, and nobody was excluded. 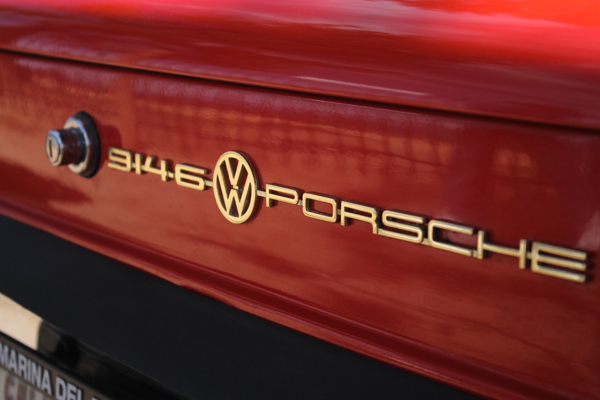 Even we, in our modern-day Porsche 914 redux of a Boxster, never felt spurned, looked down on, or denied of anything. The club is a very tight-knit group, but they always seemed willing to bring others into the fold. One thing is for sure, though, I think it's about time we picked up a project 914! All images ©2014 FLATSIXES.com/Bradley C. Brownell, All Rights Reserved. WOW! As th e founder of the 914-6 Club USA, I’m sorry to say I didn’t know about this event. Guess I’ve been out of touch for too long! Looks like it was a great event. Can you contact me about an article in the 1979 914-6 club newsletter?